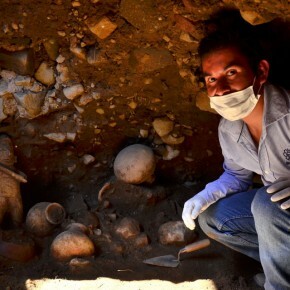 A rare, intact western Mexican shaft tomb has been found by archaeologists with Mexico’s National Institute of Anthropology and History (INAH). This is very exciting. Archaeologists rarely find shaft tombs before looters do. The ancient cultures of this region produced large clay figurines. From whimsical warriors to cute puppies, these figures are an absolute pleasure to behold. They are a window into the past and, somehow, because they are so familiar and charismatic, they humanise the ancient people of western Mexico in a way that other artefacts can’t. One of many Kahlua which feature looted Mexican figurines. Starting in the 1930s and 1940s, western Mexican figurines became one of the most popular types of looted antiquities on the US market. 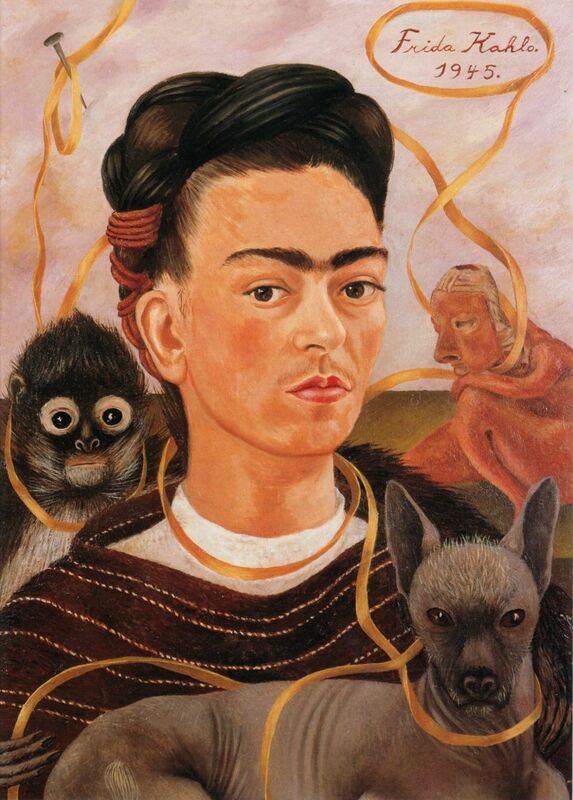 Indeed, because of the popularity of these pieces among Hollywood and artist types, we know nearly nothing about the cultures that produced them. Most of the material remains of these cultures were long gone before archaeologists even found where looters were digging. To produce the massive amount of western Mexican figurines on the market, thousands of tombs must have been robbed. The history of the collection of Mexican shaft tomb figures is tied both to the rise of modern art and to the collecting culture that existed in California in the 1950s onwards. Mexican artists Diego Rivera and Frida Kahlo took a particular interest in the ceramics from the Mexican Shaft Tomb Tradition. They began to collect looted figures from the tombs in the 1930s and may have prompted public interest in the pieces. Vincent Price once owned a large collection of Mexican figurines. 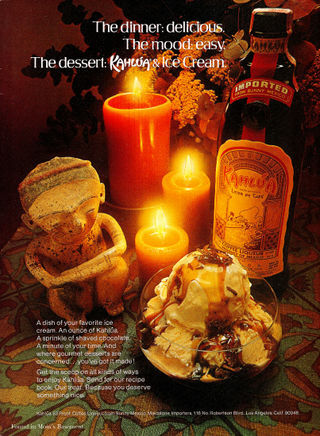 Advertisements for Kahlua featured looted western Mexican items for decades because the owner of the company was a collector. The figures are evocative, masterful, and fun. Collectors could not resist. Their desire is our loss. Salvage excavations on looted tombs have been conducted since the 1960s. Archaeologists did not find an unlooted shaft tomb until 1993. Lately the INAH team has been lucky: they found another intact shaft tomb nearly a year ago. They have already located a figurine: a 50-inch-tall shaman who was ritually ‘killed’ (broken methodically) before he was placed in the tomb. A looted figurine might be ‘restored’: repaired in such a way that we would not be able to see this intentional action from the past. They believe the figurine was positioned as a guardian, protecting the tomb. We wouldn’t know this if the figure had been looted and trafficked. The shaft itself was sealed by three matates, corn grinding stones. This sort of detail is lost when a site is looted. Quite a few bones have been found. It has long been speculated that shaft tombs contained extended families and because the tomb was intact, DNA analysis could be used to test this idea.